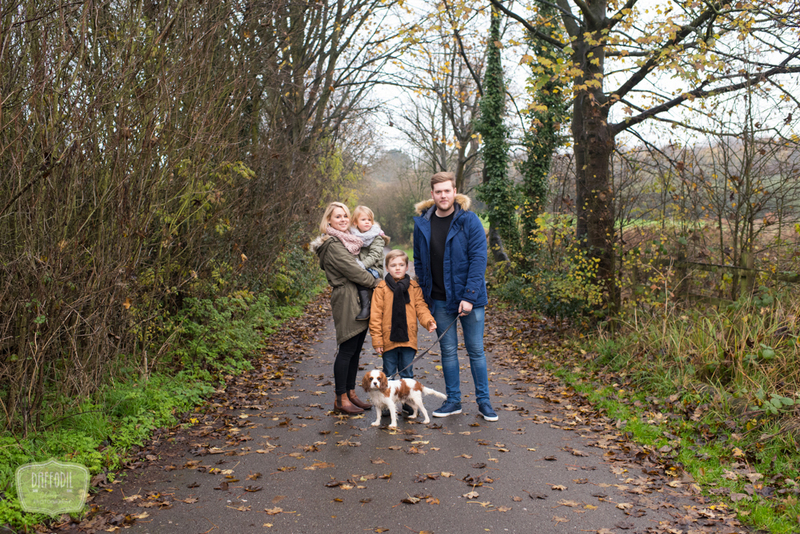 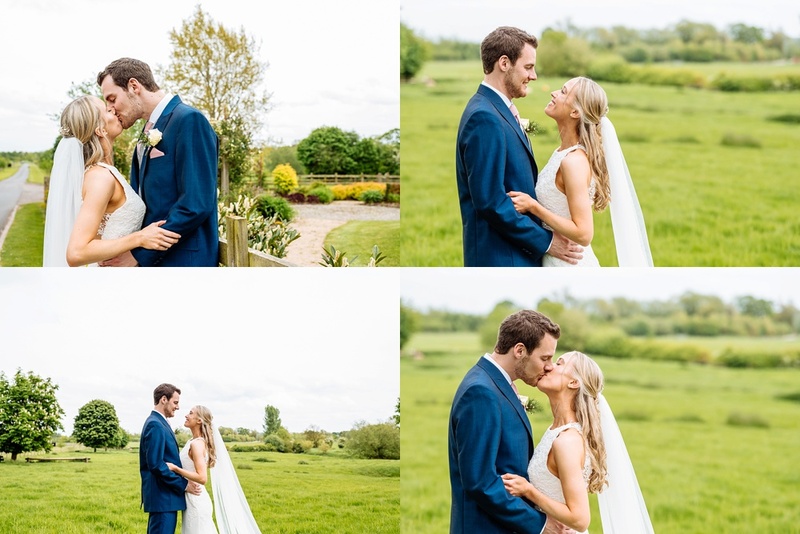 I always love shooting wedding photography at Mythe Barn and I always love working with couples like Ruth and Luke. 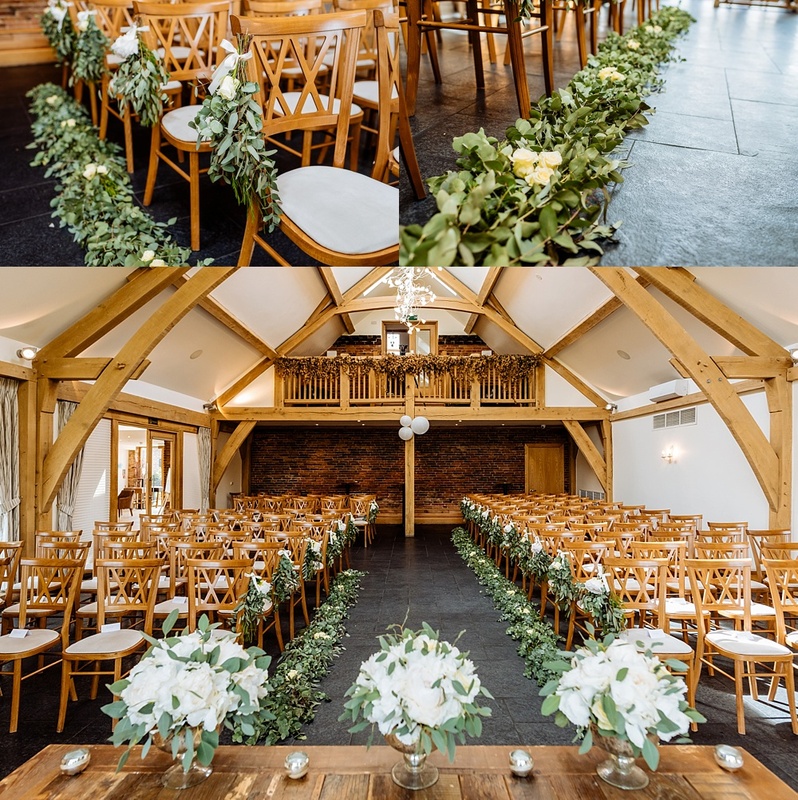 On the day I arrived early and took some shots of Mythe Barn all dressed and ready for Ruth and Luke’s day. 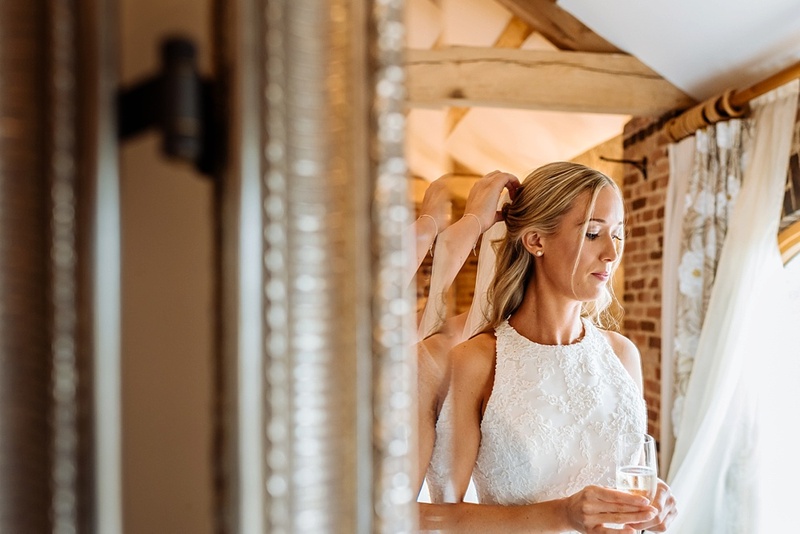 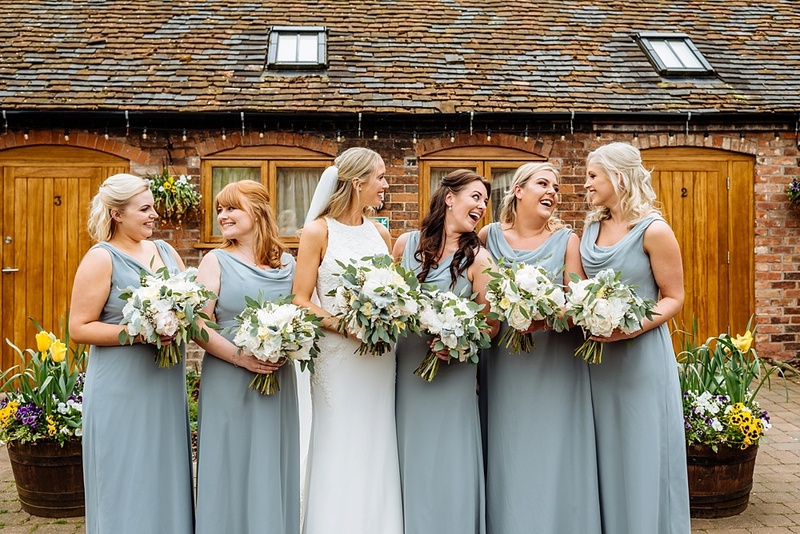 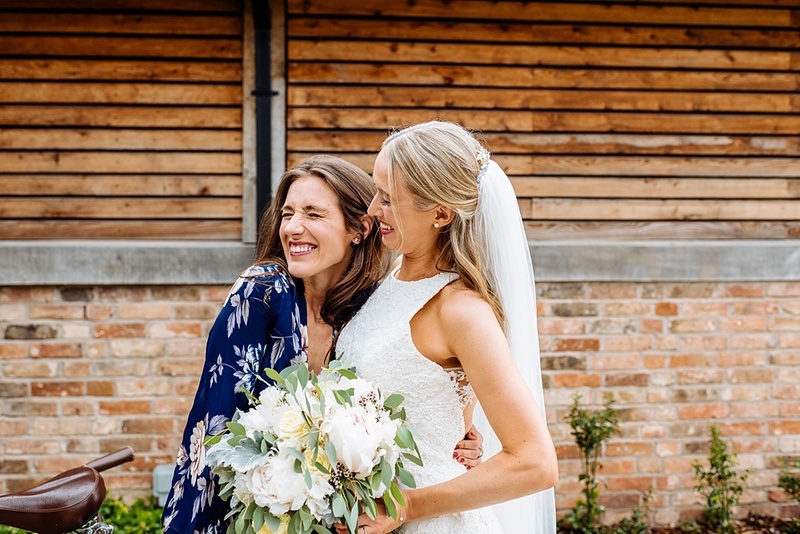 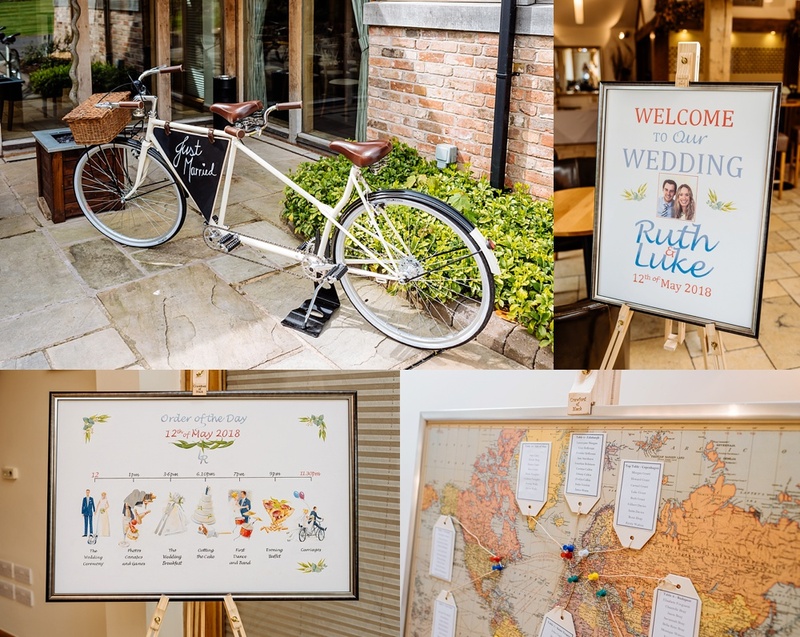 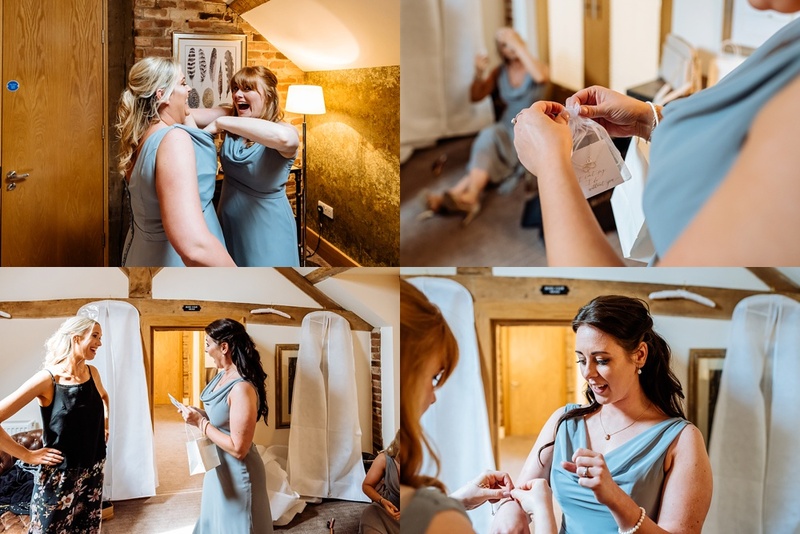 Ruth was getting ready in one Mythe Barn’s beautiful suites and had her attentive bridesmaids on hand to help her with any last minute details – like pouring glasses of bubbly! 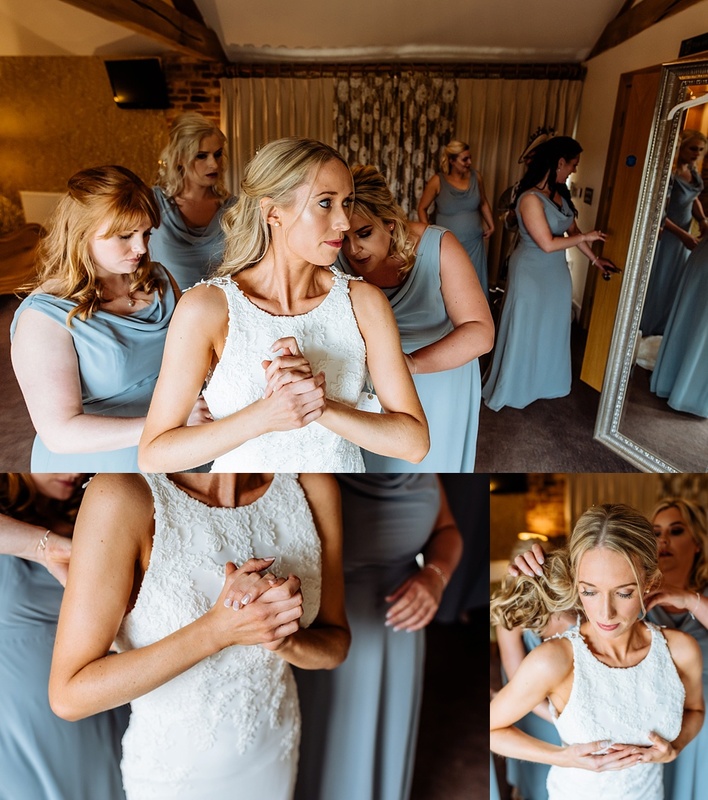 Ruth looked stunning in her figure hugging lace detail bridal dress that had a gorgeous low back and gave her a perfect silhouette in all of my portrait shots. 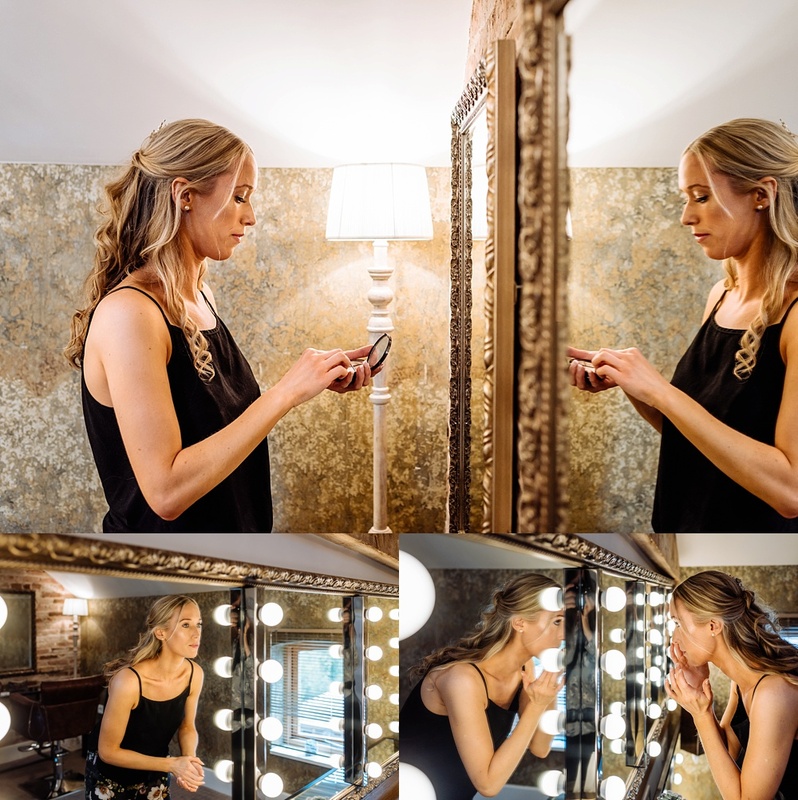 Her long hair was beautifully arranged by Jennifer Brown and makeup was done by Nicola Honey both of whom are from Zara Willetts. 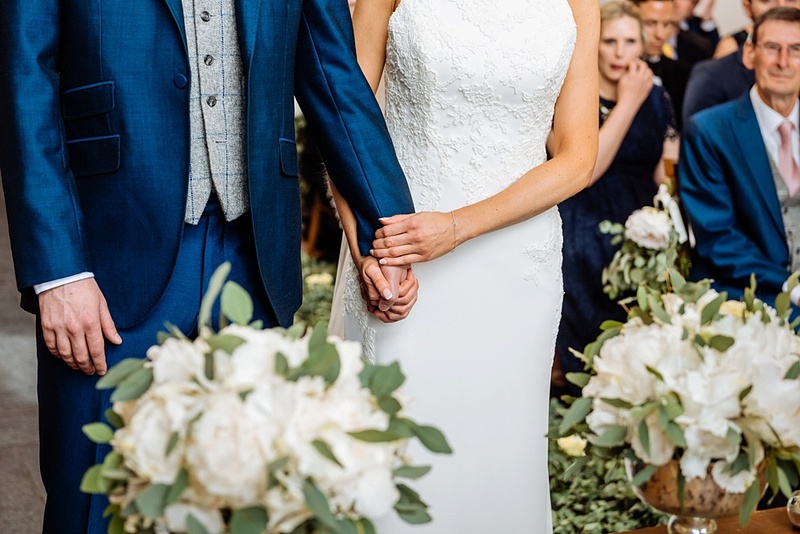 Ruth looked beautiful. 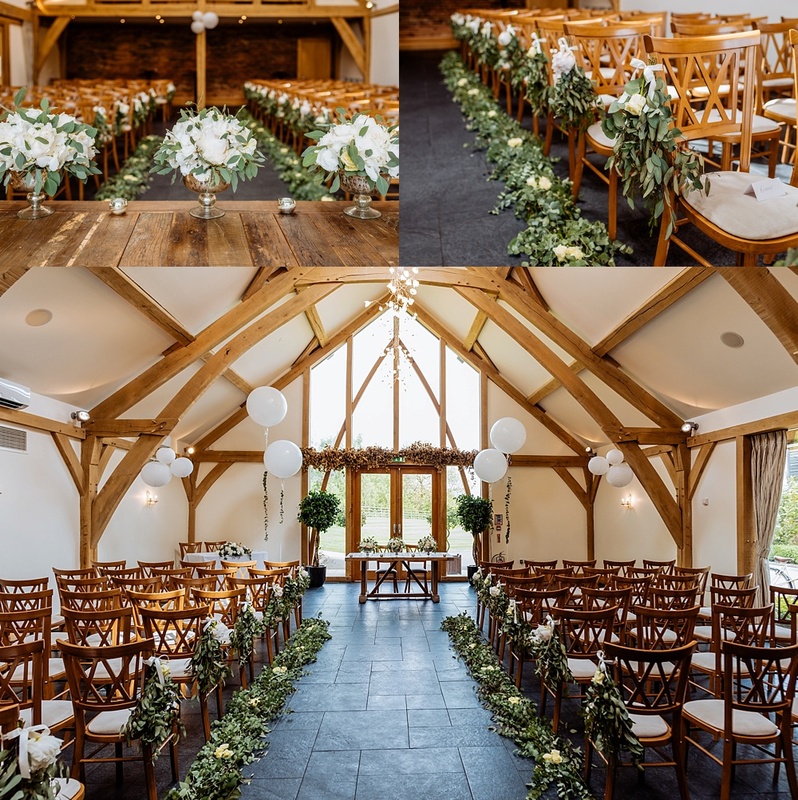 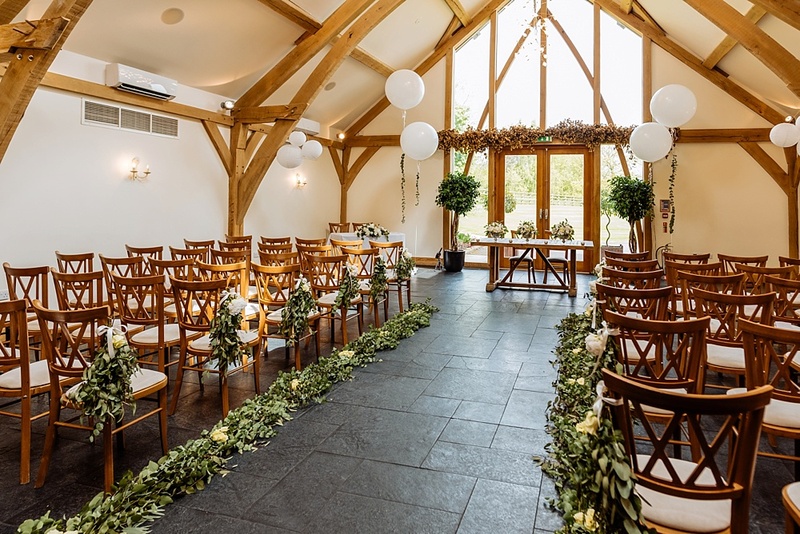 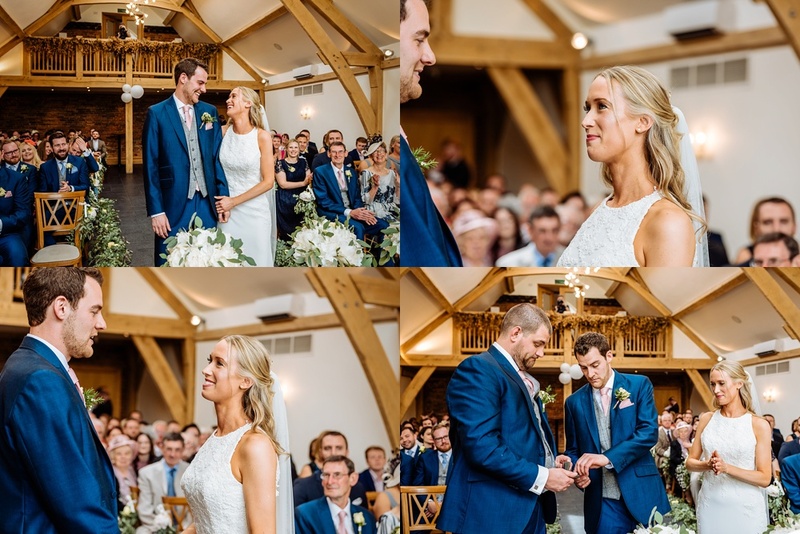 The ceremony was held in Mythe Barn’s stunning Oak Barn. 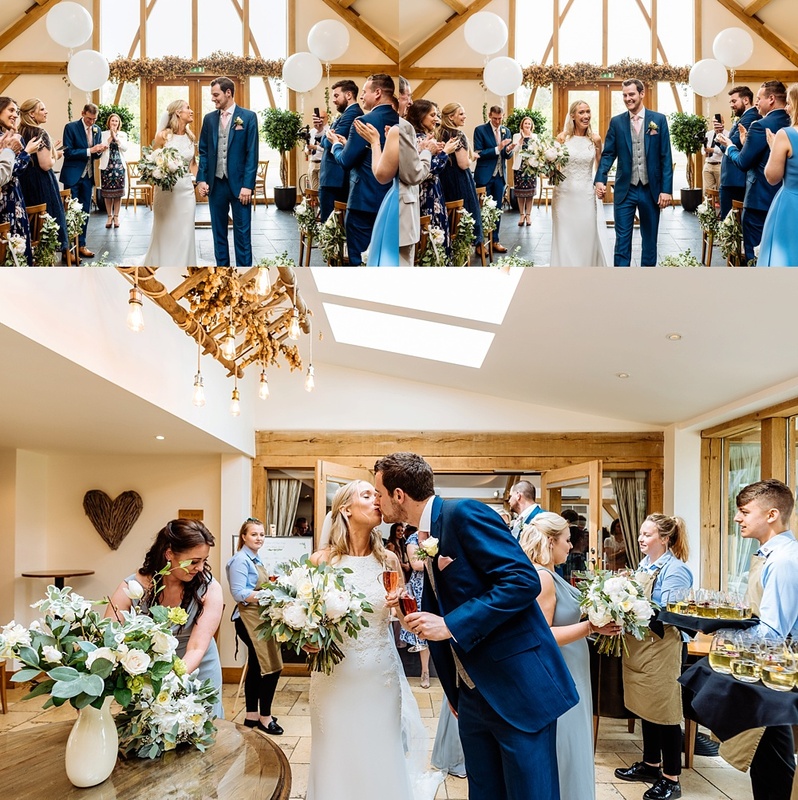 (The Oak Barn is just one of the reasons I love shooting at Mythe Barn) Its solid oak frame reaching up two storeys is flooded with natural light through full height windows and skylights. 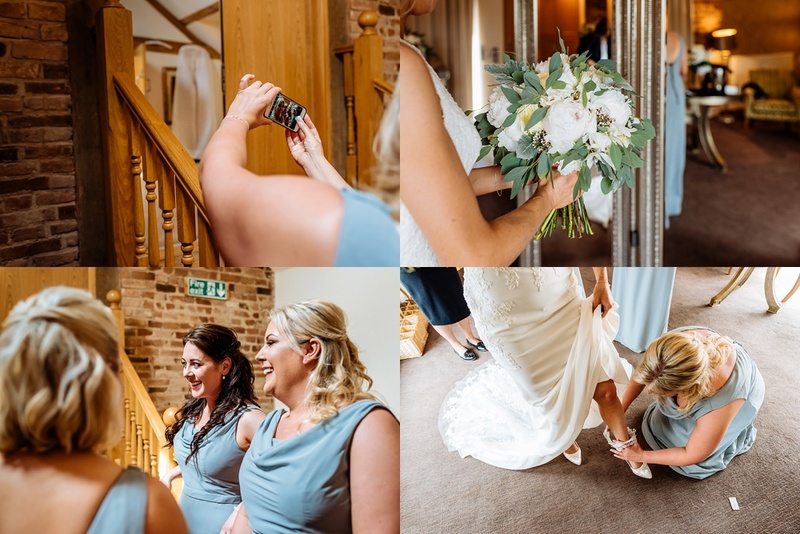 The ‘Highly Strung’ string quartet played throughout the ceremony and drinks reception. 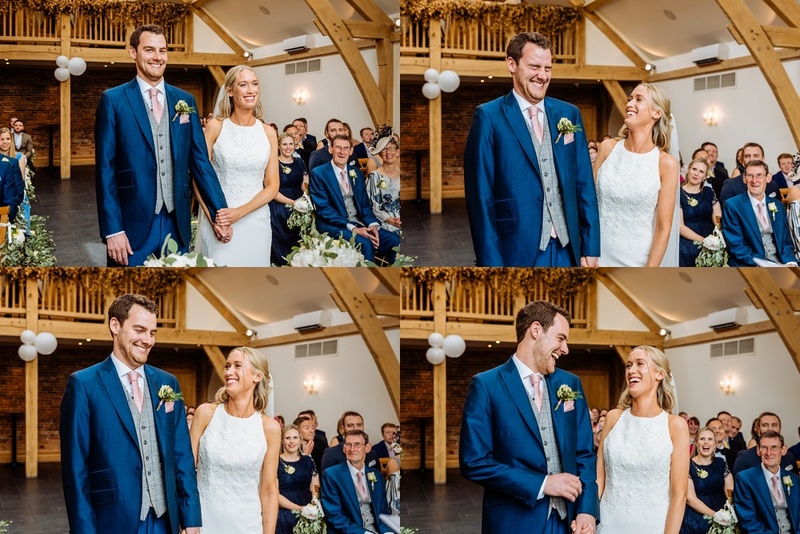 Luke and his grooms’ party looked resplendent in 3-piece petrol blue suits. 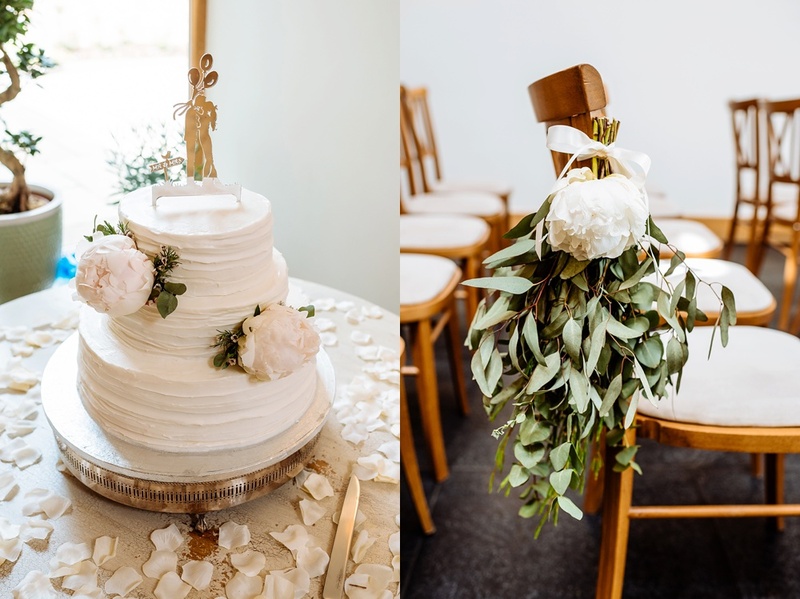 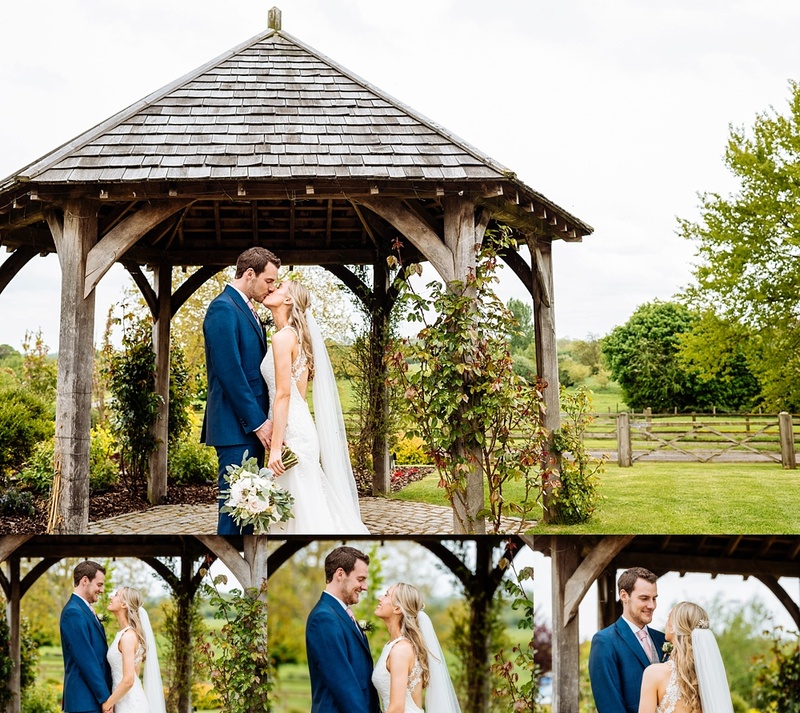 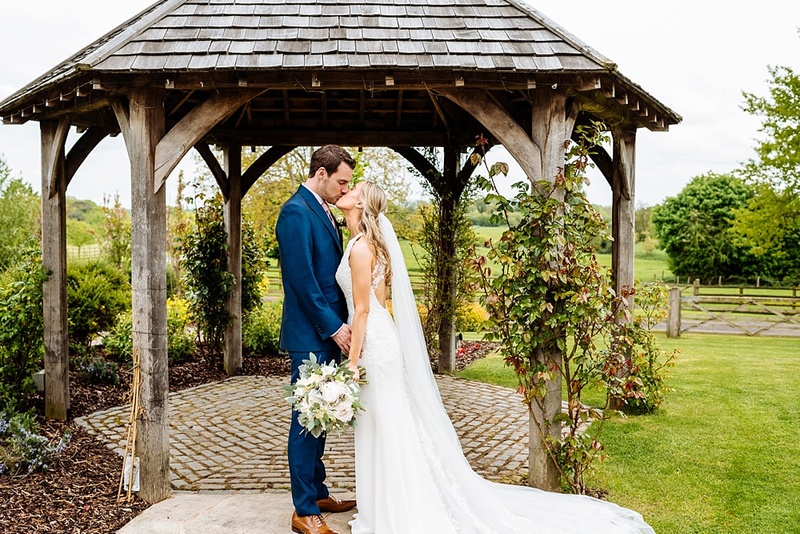 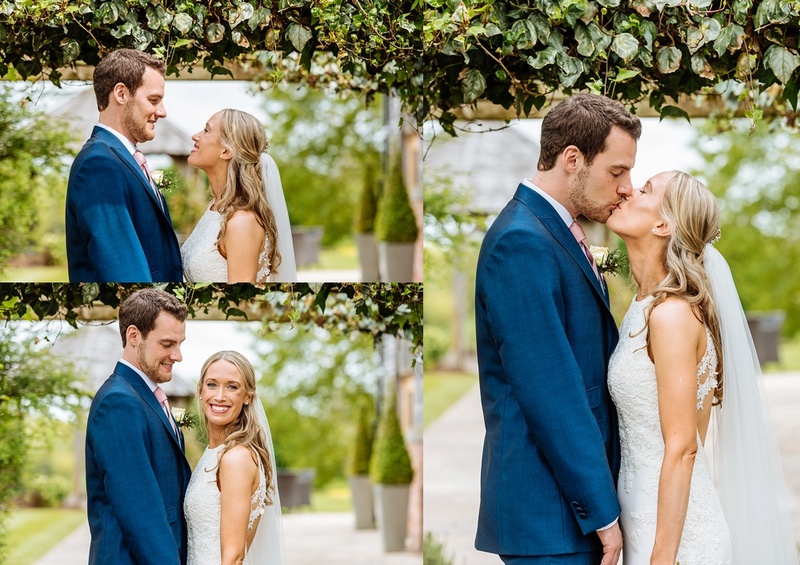 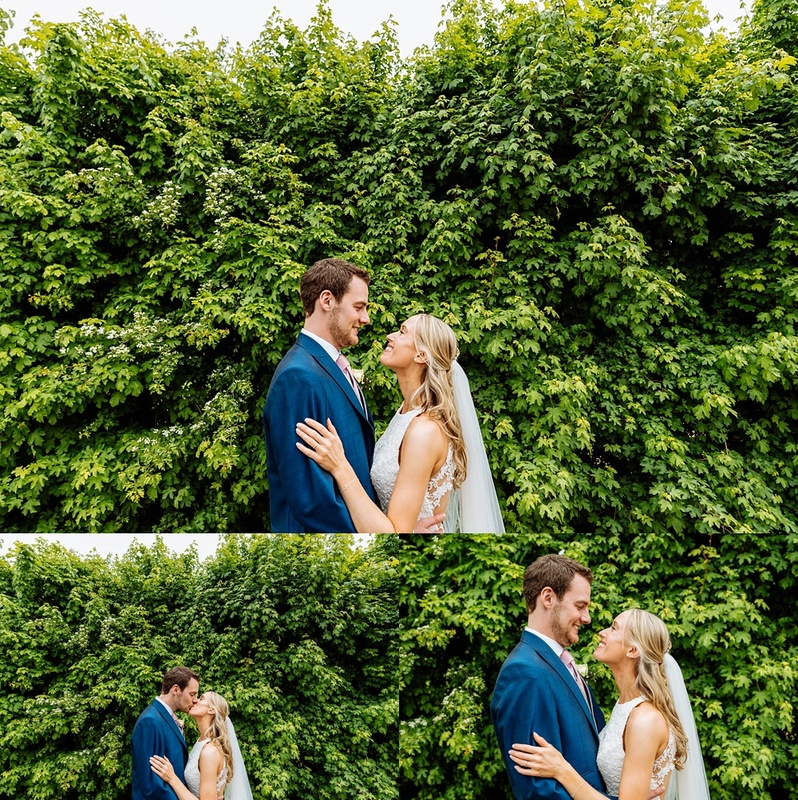 After the ceremony there was a drinks and canapes reception in Mythe Barn’s pretty courtyard and with everybody mingling I took my chance to grab some gorgeous portrait shots of Ruth and Luke around the stunning grounds of Mythe Barn. 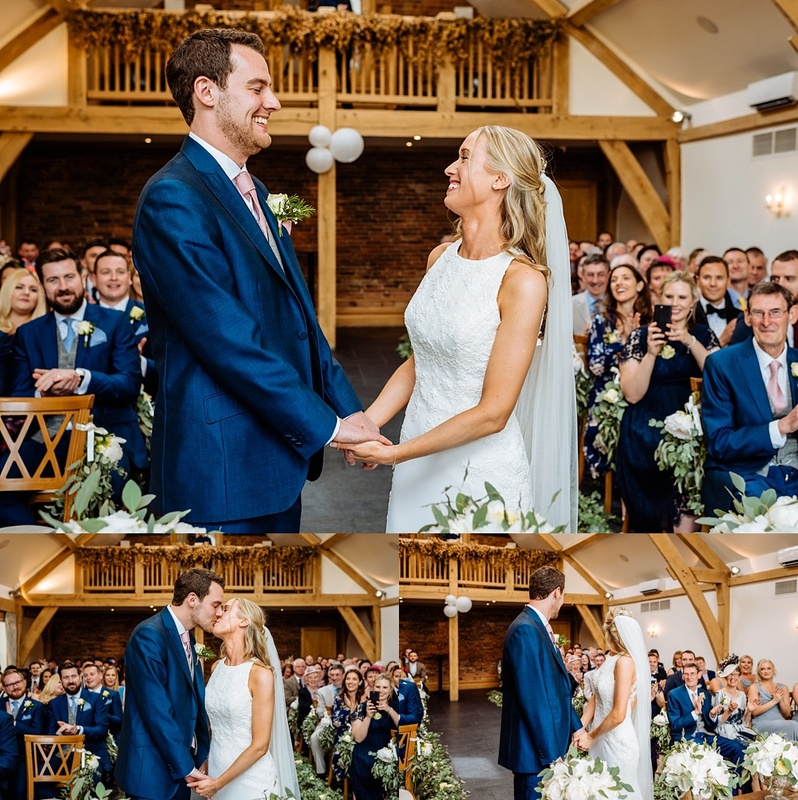 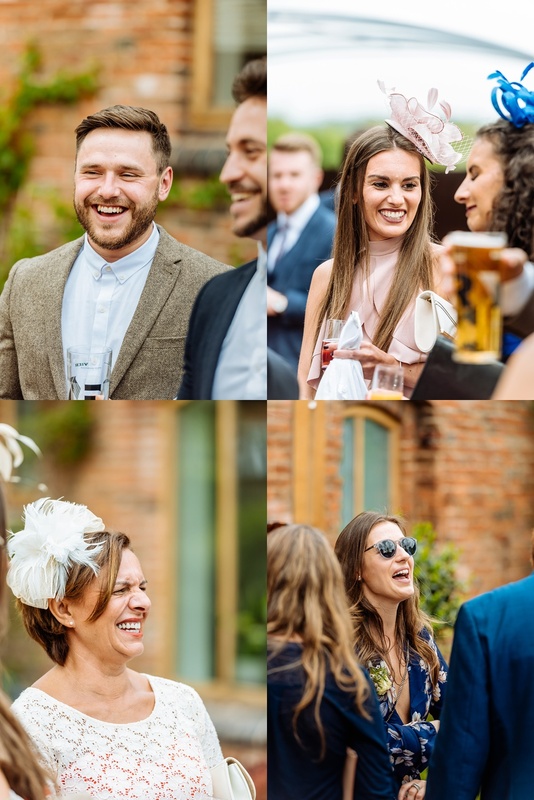 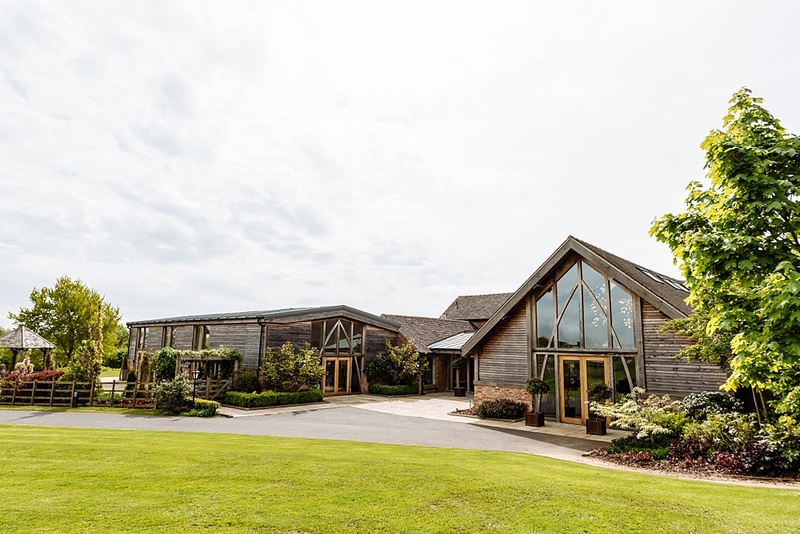 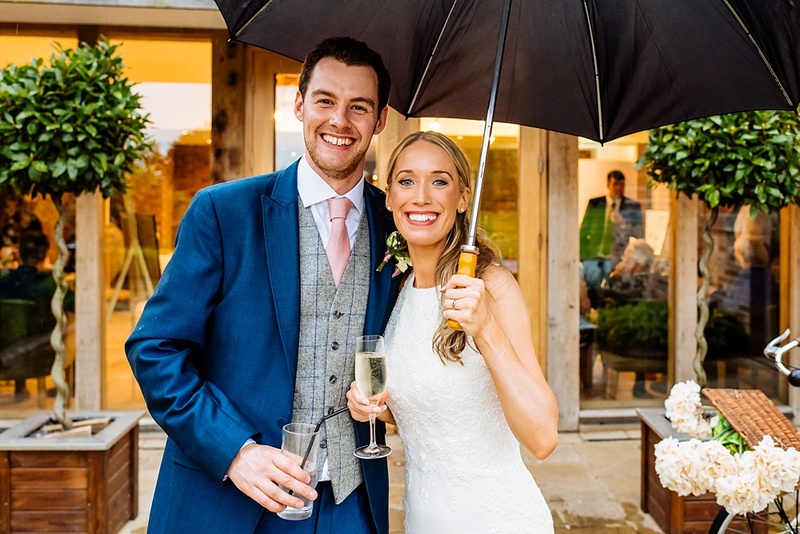 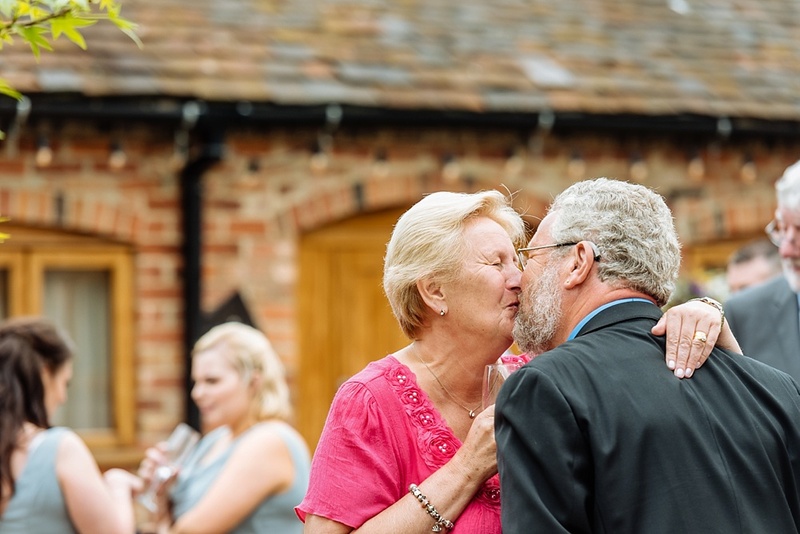 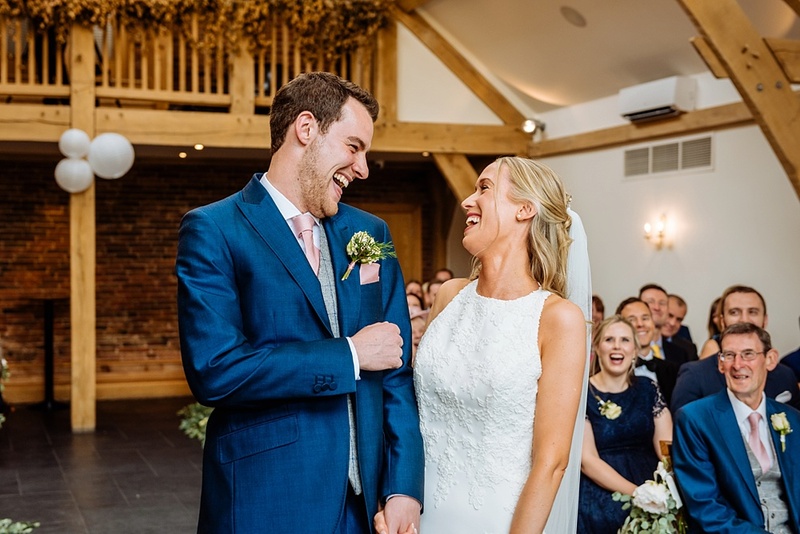 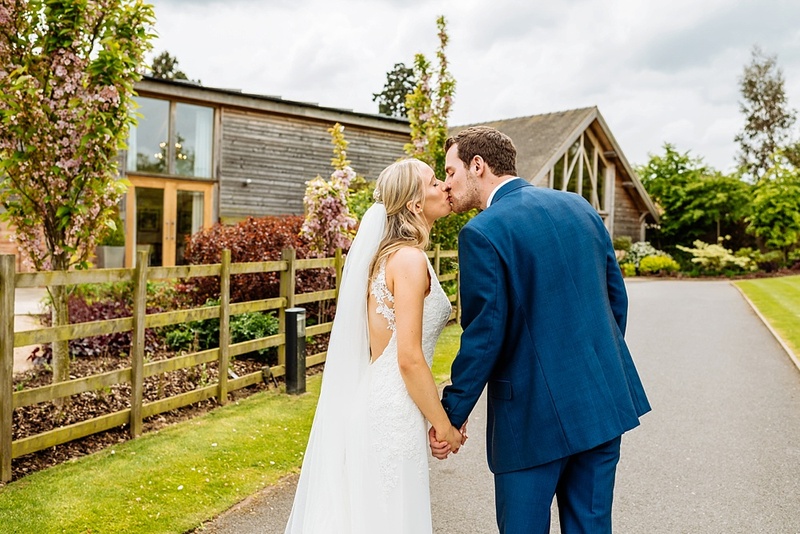 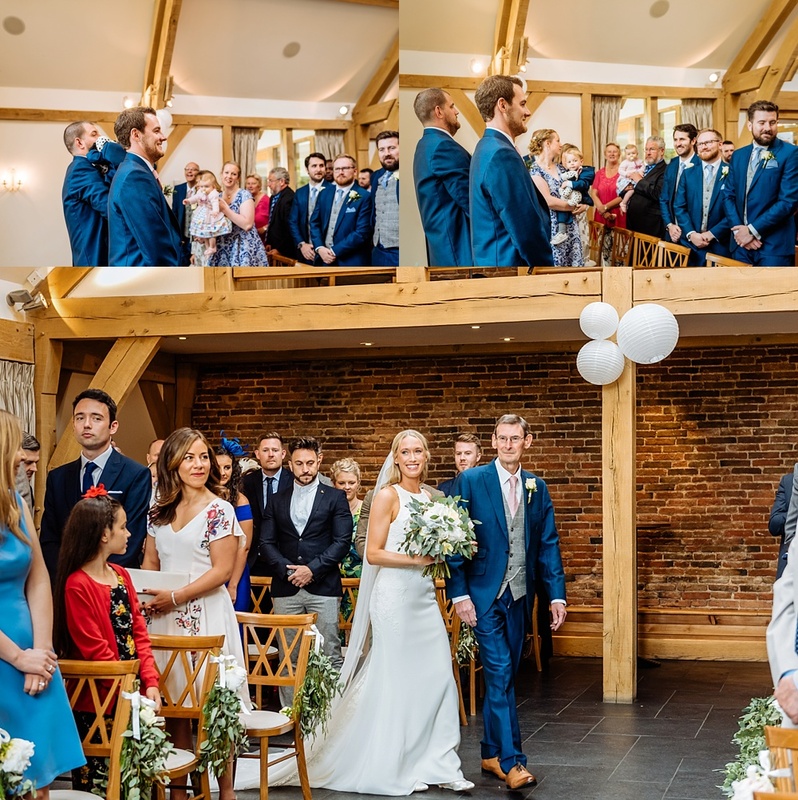 We then re-joined everybody for the wedding reception which was held in the Grain Store which is a contemporary barn with stunning floor to ceiling windows that open up onto the garden and picturesque views beyond. 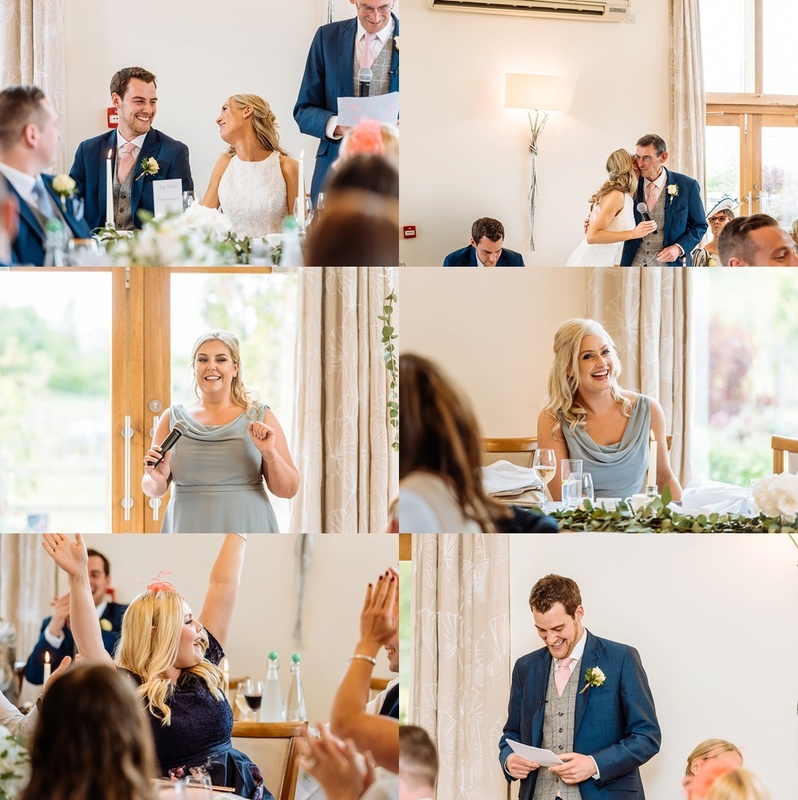 The elegant décor with ornate chandeliers, stylish wall lights and ceiling drapes was further enhanced by the beautiful way Ruth and Luke had dressed the room. 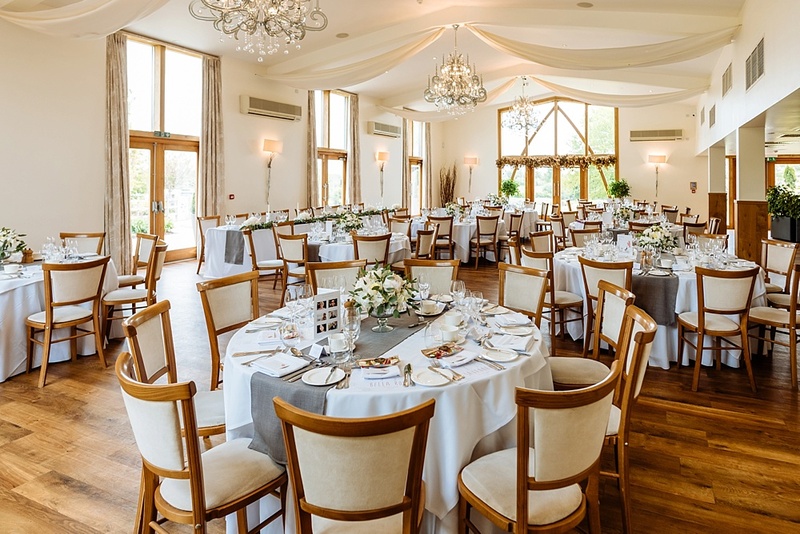 I especially liked the table runners of natural white and foliage flowers which were the clever creation of florist Emily Robbins. 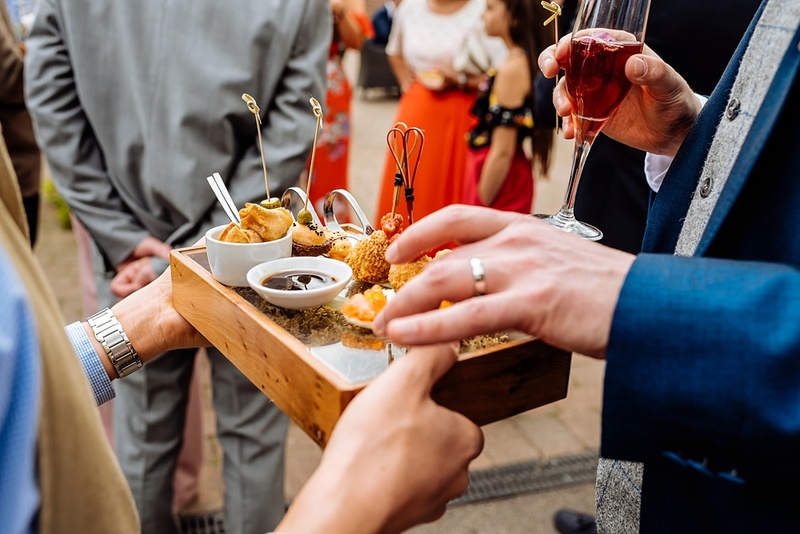 Catering on the day was provided by Galloping Gourmet and, like the speeches, was very well received by everyone. 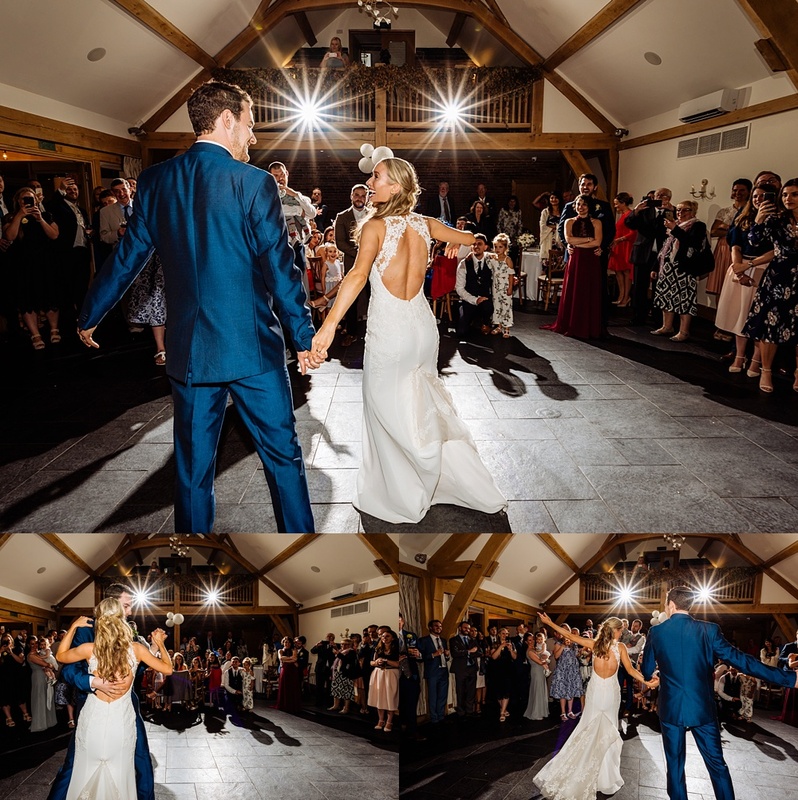 Evening celebrations started with the cutting of a very elegant and understated wedding cake before Ruth and Luke hit the dancefloor for a romantic first dance. 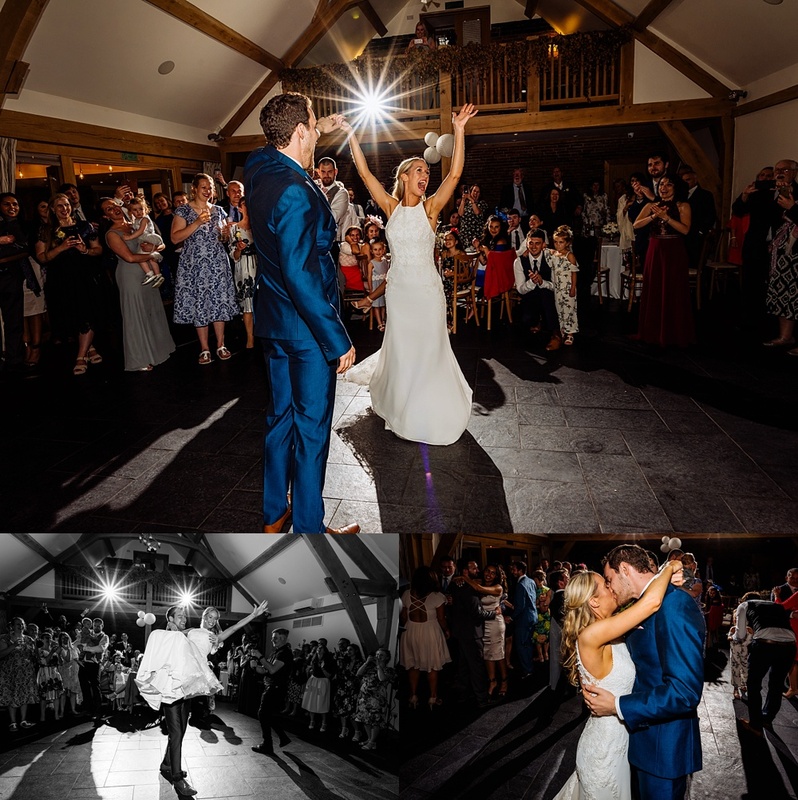 Wedding band ‘The Young Ones’ provided live entertainment for the wedding party with their fantastic blend of rock, pop, funk, Motown and soul. 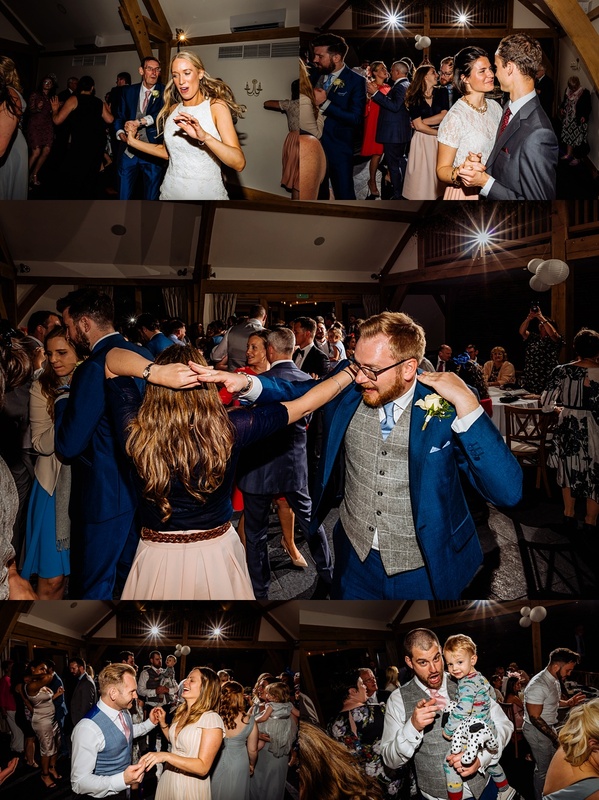 They really are a fantastic band, take a look at them on YouTube. 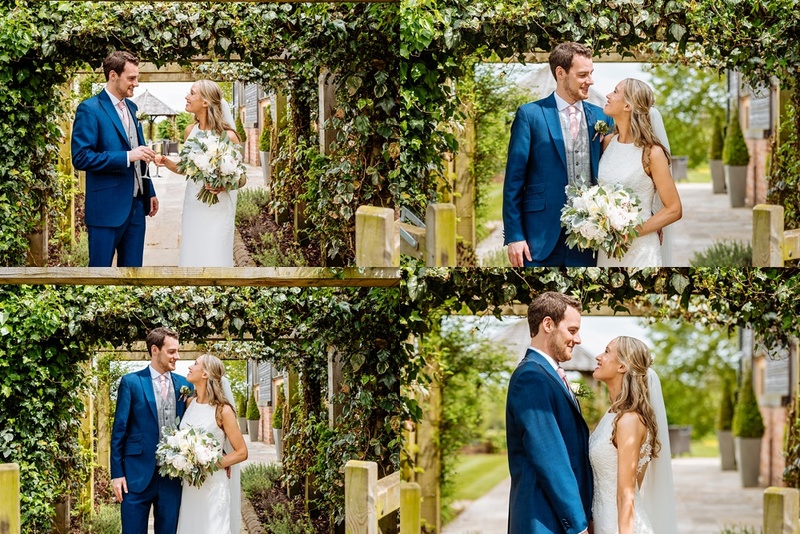 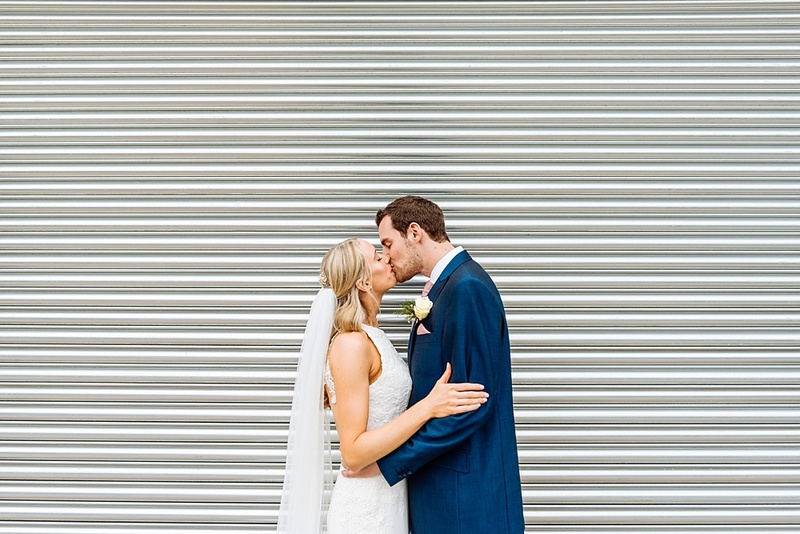 Ruth and Luke’s wedding was a delight to shoot from beginning to end. 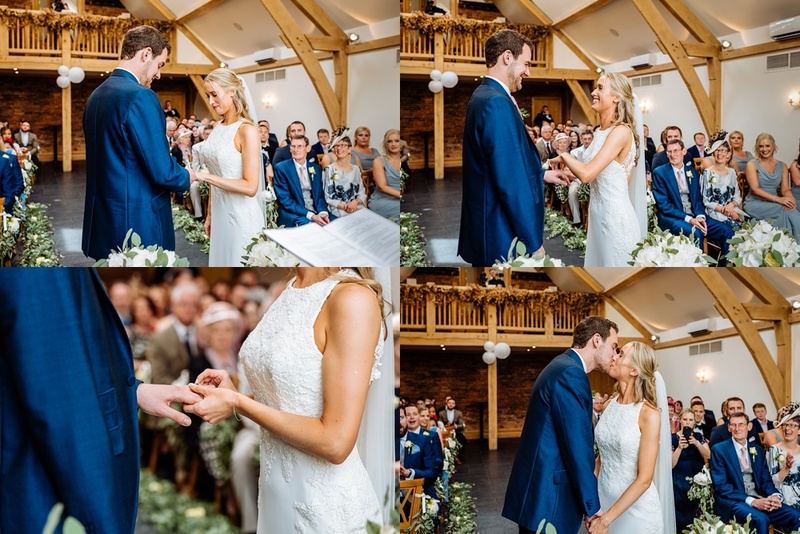 Congratulations to both of you for getting married and creating such an amazing wedding day. 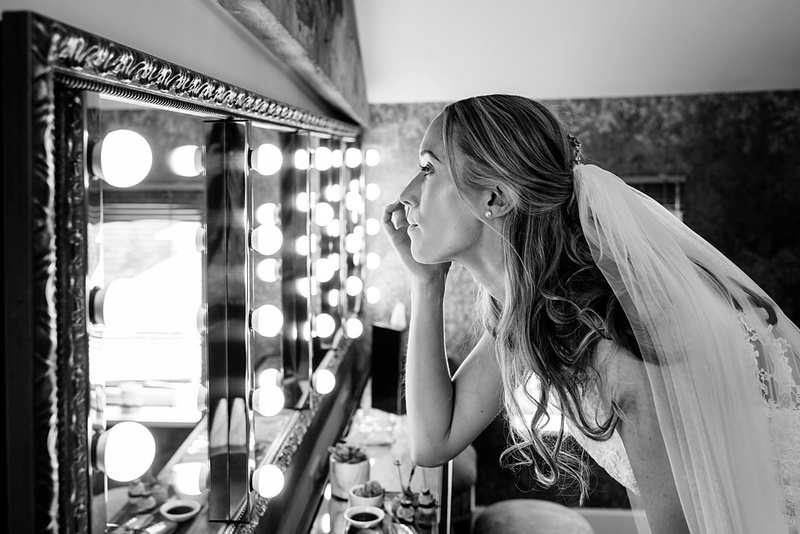 I hope my images will allow you to relive it again and again for many years to come.